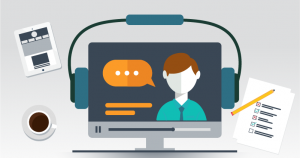 Whether a freelancer or not, every professional translator has surely faced or may have to face a socio-economic crisis at some point in their career. 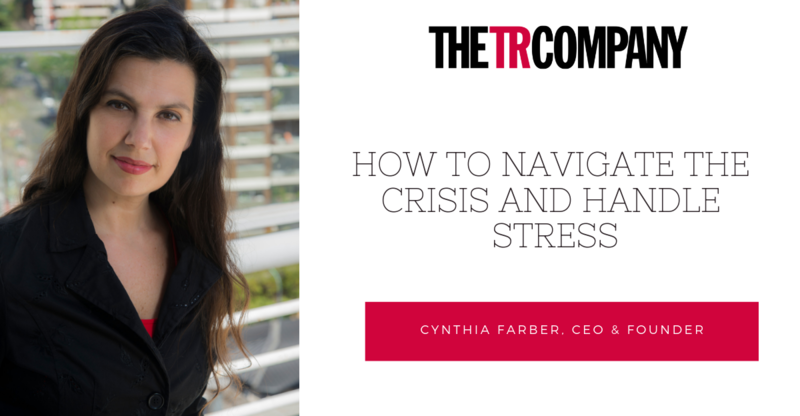 In this article, Cynthia Farber, the TR Company’s CEO, shares some advice on how to make the most of free time and tackle the crisis in the best way possible. 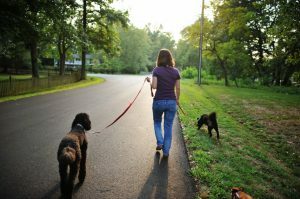 Our daily routine ordinarily leaves no room for us to get to these tasks. Why not do it now? Pushing the “stop” button and setting our finances straight sounds like a good idea. 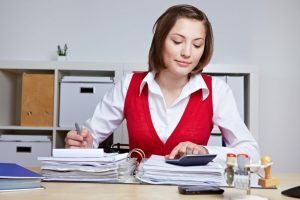 Considering that clients are generally late on their payments, it is best if we move quickly to issue our invoices and send them to the client. It might seem like something trivial, but this little step is sure to improve our finances. Another important thing is to remember to periodically touch base with your clients for payment. Often times, when we make a demand for payment, our clients are likely to claim that they cannot find our invoice and ask us to resend it, or else they will say that they simply forgot to process it. A little reminder can’t hurt. Don’t let time go by. 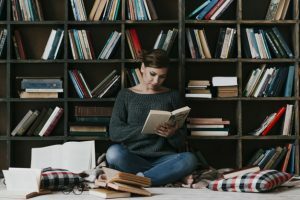 This is a task we usually put off – we tend to find it rather dull or to underestimate its importance, particularly when we are not in need of our resume. This is why it is all too easy for resumes to become out-of-date. Bear in mind that times like these may prove to be extremely useful to keep your resume updated. In this 2.0 day and age, keeping our LinkedIn profiles up to date is a must. We can check out just about anyone’s personal and professional data in real time by simply accessing an app on our smartphones. 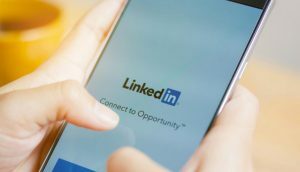 This might be even more important than updating your resumé: LinkedIn profiles are online, which makes them permanently visible and available to anyone interested in knowing more about us and visiting our profiles. It is not rare for a client’s silence to go unnoticed for quite a long time. But once we come to realize it, we wish we had contacted them before. Sometimes it feels awkward to call them or write to them because it has been ages since we last heard from them. Checking out our list of clients and latest contacts on a regular basis may be very useful. A lost client can become a recovered client. Advancing our knowledge and expertise is always a plus. However, we normally shunt this aside because of our tight agendas. Times like these are a chance to attend as many training courses as possible. After all, they are an investment for the future and provide us with valuable tools to tap into further work opportunities. Keeping our minds busy drives us away from panic. If we exercise our brains, we may find it easier to stay alert and active in our quest for new horizons. In times of crisis, I often read a lot about business, negotiation, creativity, innovation, and sales techniques. I look for motivation and a drive towards action. This is another task we normally put on the back burner due to lack of time. Keeping everything neat and tidy will help us see things from another perspective. Chaos creates more stress. Be sure to arrange your stuff if you need to clear your mind and think clearly. Try it! It works for me, and I do it when I get the chance. My desk is a complete mess most of the time. Also, when I tidy up, I recover many interesting things lost in the depths of forgotten papers. Have you ever spent hours looking for that important e-mail you read long ago? I bet you have. And it is probably an e-mail from that client you need to contact at this particular time. 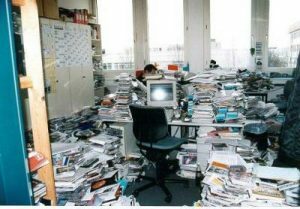 That is why it is vital for the order in our workspace to reflect in our computers and e-mail platforms. Each of us should find their own organization method—that is, the one that best helps us locate useful data whenever necessary. I arrange e-mails by client, by contact, and even by project. I create folders and subfolders. I delete e-mails I do not need anymore and make sure to keep the most relevant ones. 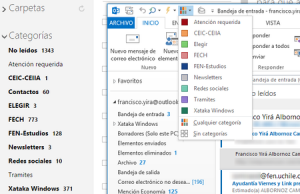 Sometimes, I save attachments in the disk and delete them from the relevant e-mails, so that Outlook does not collapse. This is essential to avoid missing files and recover any vital information whenever we change computers. Otherwise, the cost may be really high. 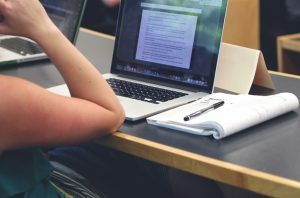 If you happen to have issues with your computer — e.g., a virus attacks and you lose important information — you will wish you had made regular backup copies. 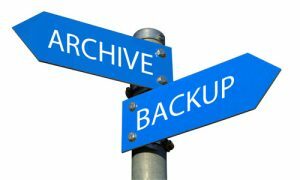 There are certain tasks for which we have to make time, and “low seasons” are very good opportunities to create full backup files. I hope you find this information useful and get back to it whenever you need it.